Look, we’re all sick of this Jussie Smollett scandal where he paid two Nigerian brothers to play out an elaborate hoax of beating him on the streets of downtown Chicago and blaming President Trump’s supporters for the crime. However, every single day new information is discovered that makes you want to face palm harder than you’ve ever done before. And that was certainly the case when this new information was revealed about the State’s Attorney Kim Foxx. 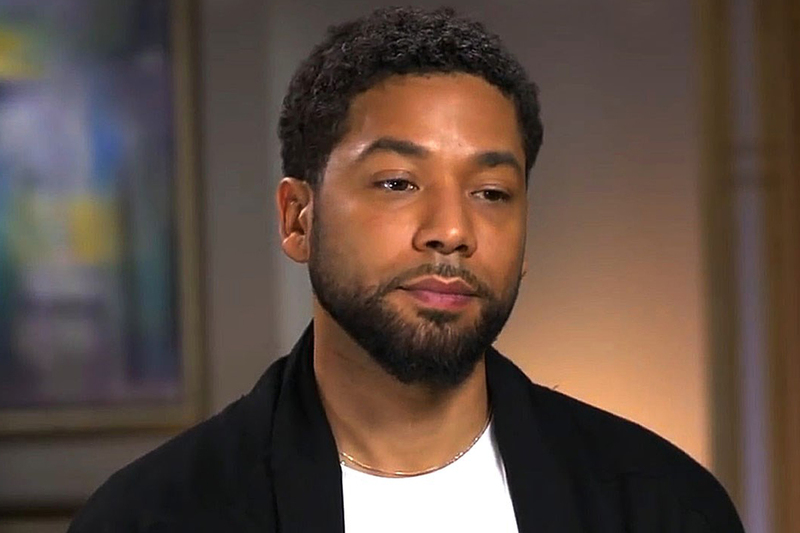 Jussie Smollett rocked the nation when he allegedly lied about how President Trump supporters assaulted him on the streets of downtown Chicago. The first thing police did was track down the footage of the attack considering that there are street cameras everywhere and that’s probably something he and the two Nigerian brothers he hired never even considered. That consequently led to his arrest for filing a false report to the police. The worst part is that his hoax became a national news story that demonized President Trump’s supporters at the highest levels of Hollywood. About six weeks later, the Cook County State Attorney office decided to not prosecute the charges, which left most of America dumfounded by that insane decision, especially when you consider the gravity his accusations had on a national level. Word has it that former First Lady Michelle Obama’s chief of staff, Tina Tchen, overreached with her power play to get Smollett off of the charges he was accused of. So that’s what it takes to get someone off of a grave national crime, huh? Also, is anybody really buying this nonsense that she had no real “weight” in what Foxx decided? Well it turns out that this might be a liberal conspiracy. State’s Attorney Foxx – who dropped the charges against Smollett – recently attended a fundraiser hosted by Alex Soros, son of liberal billionaire Hillary Clinton-backer George Soros, to donate hundreds of thousands to a super PAC that supported her for re-election. In fact, George Soros specifically donated $333,000 to Foxx’s super PAC. Are we really supposed to believe this wasn’t coordinated? The Chicago Police Department and Mayor Rahm Emanuel were also surprised by the State’s decision to drop the charges – literally 16 felony counts. Suddenly they want to drop this egregious crime? Why? It’s clear that this is of a much larger conspiracy to get Smollett free from these charges and it probably dates back to the Obama administration trying to protect their own. Even liberals are infuriated with this outcome. That should tell you all you need to know. And if it wasn’t clear enough, his former show, Empire, just had the lowest ratings of the entire show’s existence, likely as a result of this debacle.